Video games have only been around for ~50 years and they’ve taken the world by storm. Most people grew up with games and many want to eventually work in game development. There are many big gaming engines but Unity is perhaps the most well known choice. There are dozens of books on this topic covering Unity, C#, and the philosophy behind game design. 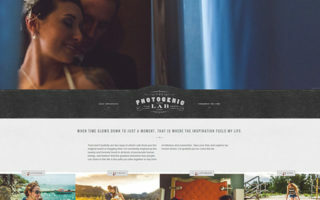 With so much to learn and so many resources how do you even get started? I’ve curated the 10 best Unity programming books that range from a complete beginner’s level all the way up to advanced Unity/C# cookbooks. No matter what your knowledge of Unity development there’s bound to be a book here to help you push that knowledge further. 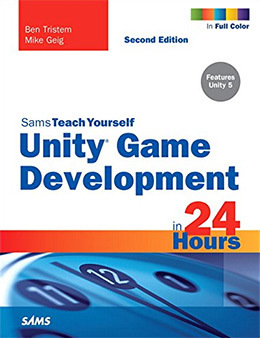 If I had to recommend one Unity book for a complete beginner it’d be Unity Game Development in 24 Hours which is part of the Sams Teach Yourself series. It holds your hand with Unity and covers everything in great detail. However this book will not teach you C# in any manner of speaking, so you may want to pair this with an intro C# book like C#: The Ultimate Beginner’s Guide. All the basics of Unity are covered in this comprehensive guide to the software. Sams Teach Yourself Unity Game Development in 24 Hours explains the Unity UI from start to finish including menus, workflows, and final production pipeline assets used in pro game studios. The book does not cover much about C# but it’s also not a book strictly made for C# development. You can enter this book with prior programming experience, although it’s certainly not necessary to get the most from this text. This book is really a guide to the Unity interface. 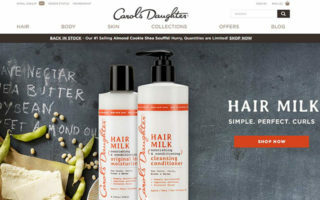 So if you’re completely unfamiliar with the software I would give this a big recommendation for getting your feet wet. If you want a real guide teaching practical tips for game development then you want this book. Unity in Action covers both Unity and C# programming with practical tutorials through each chapter. I actually did a small review of this book and found it to be an excellent title for game developers. 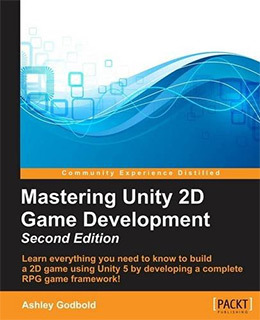 The author teaches the basics of Unity followed by common game programming topics like 3D space, game worlds, rendering, and animation. If you’re a complete beginner this book will present a learning curve. You should enter with some knowledge of C# to have the best experience. But if you already have some programming knowledge in another language you can start with Unity in Action and still get a lot from the experience. Just be prepared to do research and solve your own problems when necessary. Coming in with over 900+ pages this is one behemoth of a game programming book. 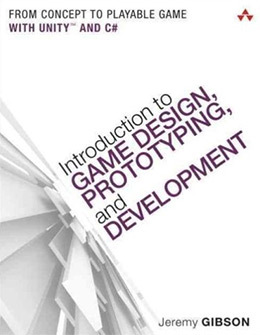 The author explains concepts very well and Introduction to Game Design, Prototyping, and Development offers almost every subject you need to learn as a beginner. You start with game theory and what it takes to create a good video game. This leads into basic C# programming concepts and eventually you learn how to construct eight individual games from scratch. This book covers three primary topics: general game design/theory, C# programming, and the Unity engine. You should have at least some programming experience before picking up this book because it can be rather overwhelming. But just like any “tough” programming book, you can work your way through this with perseverance and dedication. 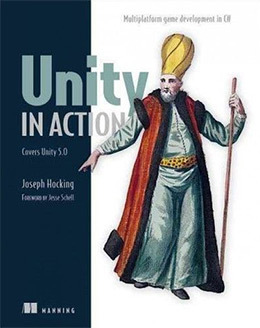 This title just recently got updated with a 2nd edition covering the newest version of Unity. This includes some updated sections with more clarity and new screenshots from the Unity UI. 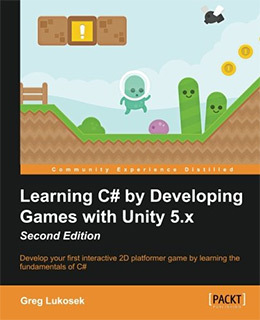 Learning C# by Developing Games with Unity 5.x spans 230 pages of intro material for C# game programming. You’ll learn how to build a real 2D sidescroller game from scratch with the Unity framework. Even if you have zero programming experience you can still pick up this book and work through the lessons comfortably. It is rather short so it won’t teach you everything you need to know. But the author Greg Lukosek teaches common best practices so this will set you on the right path for thinking properly about game development. Complete beginners will enjoy this book as a pure Unity starting point. The author Alan Thorn teaches components and game objects with the Unity interface. You learn how to construct games from scratch including a shooter and a platformer. 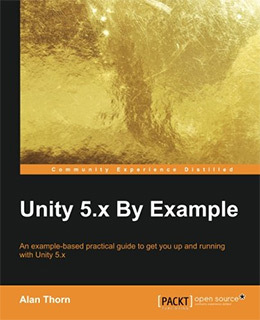 Unity 5.x By Example follows the book’s name to a tee. You learn Unity by example over a series of game projects and real-world scenarios. The book covers game styles, input controls, and the details of C# for game development. 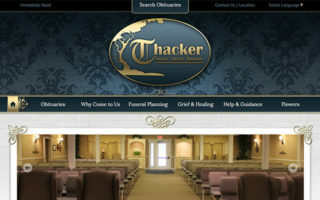 However the later chapters require exercise files which you’ll need to acquire from Packt or from the author’s website. This may bother some people and they might want to go with a different Unity-oriented book with fewer required resources to start. If you’re already familiar with some game programming then you’ll know the importance of AI development. Onscreen players, enemies, and NPCs all need their own AIs to behave in a way that makes the game fun and challenging. 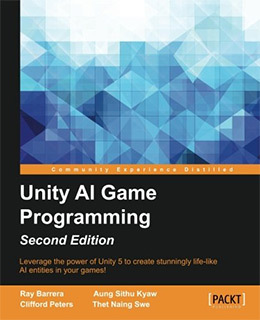 Unity AI Game Programming is currently in its 2nd edition spanning 237 pages in total. You’ll learn many detailed topics about state machine behaviors and sensory systems within Unity 5. The authors even cover NavMesh as it relates to professional game programming. This is not an easy book by any means. You will need prior experience in Unity and C#, preferably experience put into actually making real games. But once you’re ready for something a little more challenging I would highly recommend this book. It’ll make you think about how to approach artificial intelligence and you’ll learn the best methods for getting this stuff to work in a game environment for any platform. When it comes to AI for game development I’d give this book a medal of honor for its quality writing and masterful depth of content. This is the newest book in my list with a 2nd edition slated for December 2016. The author Ashley Godbold put a lot of effort into both C# and Unity explanations with detailed examples for each chapter. Mastering Unity 2D Game Development teaches you how to work with 2D sprites for real game environments. You learn how to create an RPG game with characters, environments, and programmed interactions. Before getting this book you should already be familiar with C# programming and some game development. You don’t need to be an expert with Unity, although it doesn’t hurt to have a background working with the program. Some game developers only want to focus on 2D games and this book is undeniably the best place to start with that. Also if you get this book be sure to avoid the 1st edition because that version covers Unity 4.6. The 2nd edition is brand new and updated for Unity 5.x including screenshots of the new interface. Because Unity is such a detailed program you often find dozens of cookbooks on various topics. Game programmers go through different phases of learning and sometimes it helps to focus on one thing at a time. Shaders affect shading and these lighting effects are not easy to generate unless you know what you’re doing. Unity makes it a bit easier but you’ll need to learn the interface. This is where Unity 5.x Shaders and Effects Cookbook comes in to help you figure that stuff out. Everything in this book covers 3D shading and it comes in the form of professional advice from real game agencies. You don’t just learn how 3D shading works. 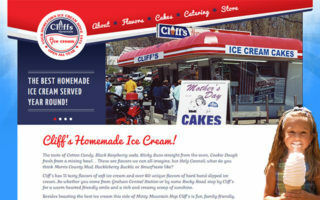 Instead you learn recipes that you can copy and reuse over and over in your game projects. Topics include volumetric shaders and even detailed fur effects on animals. The book spans 240 pages but each chapter is packed to the brim with quality code snippets. This book is definitely made for Unity and it’s not a simple beginner’s reference guide. 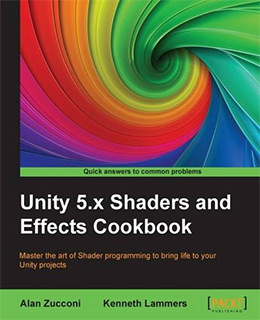 You need some experience with Unity before picking up this book, although you can have no prior knowledge of shaders and still work through the snippets with relative ease. Digital interface designers will really love the Unity UI Cookbook for its level of detail and relatable language. This title written by Francesco Sapio offers 280+ pages of recipes for common game interface elements that appear on the screen. You’ll learn how to build interface elements like health bars, item indicators, power up gauges, and you’ll even learn how to animate these UI elements on screen with Unity 5. In later chapters you learn how to create a complex minimap which displays the overall game world in the corner of the screen(à la Grand Theft Auto). Most interfaces build on 3D but you can extrapolate this information to 2D as needed. I give this book a very high rating but only for those who want to study UI design for Unity games. It is rather complex so you should have a background in Unity/C# before getting into the gritty details. 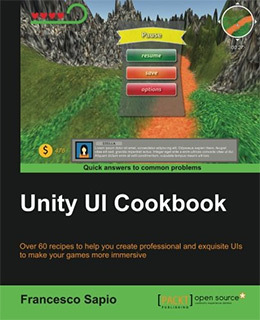 At 570 pages this is truly the ultimate cookbook for Unity game developers. 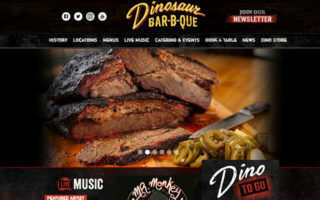 You’ll get recipes for both 2D and 3D game development involving shaders, physics, AI behavior, save states, and tons of other related features. 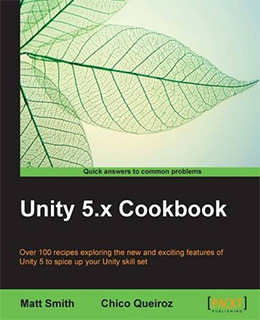 The Unity 5.x Cookbook is just a must-have book for any serious Unity programmer. There’s no getting around the value this book offers. Novices and beginners can learn a lot on the Internet, but eventually there’s a wall where the free information slows to a trickle. Premium courses offer great info but this cookbook is full of real actionable recipes for a cheaper price than any online course. However you should already have experience building games before you even consider getting this book. Programming experience in C# is vital, along with an understanding of the Unity 5.x interface. But if you’re already somewhat comfortable building games in Unity then this cookbook will help you take your projects to the next level. There is a lot to learn when it comes to game development. Unity as a program is just one, and C# often goes with it. If you’re just getting started I sincerely recommend Sams Teach Yourself Unity Game Development in 24 Hours because it covers everything in Unity plus a bit of C#. From there you can dig further into Unity, C# programming, and overall game design with other books. More advanced programmers who already know C# might start with a more comprehensive book like Unity in Action. There is no single best or worst book in this collection. Some are just better targeted for your skill level than others. But I think there’s definitely something in this list for everyone regardless of your prior experience. And if you don’t see a particular Unity book mentioned you can search for others to see what else you can find.